CLZ Alwin here, with a particularly “movie heavy” edition of the CLZ Newsletter. But don’t worry, we also have some interesting comic, game and book related Core projects going on behind the scenes, which will all result in cool updates in the next few months! New: IMDb Rating and Votes are now always up-to-date! 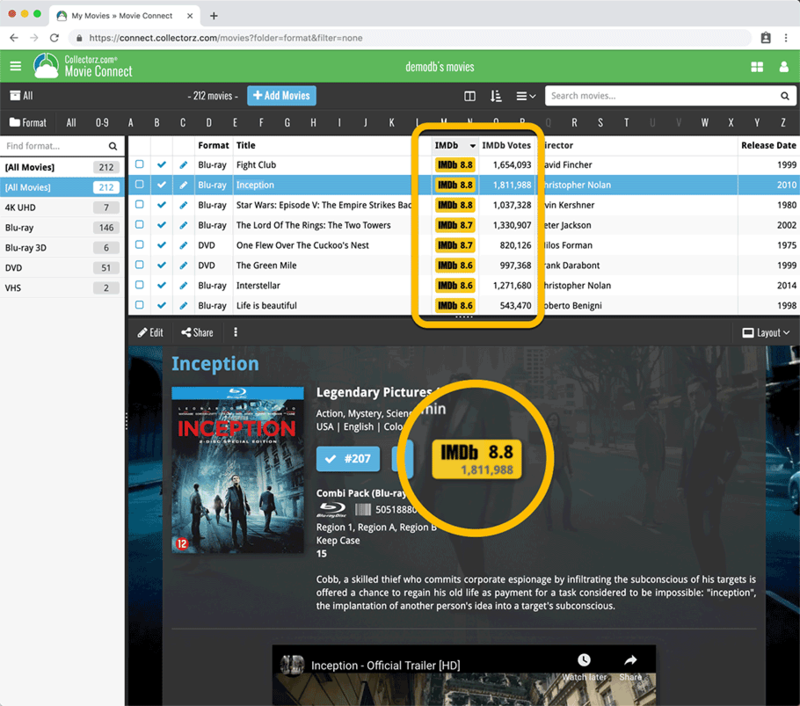 As you probably know, we have signed a more comprehensive (and also much more expensive) content licensing agreement with IMDb, which gives us access to more and fresher IMDb data. Today we’ve released the first new additions for Movie Connect made possible by this new agreement! This field indicates the number of votes on which the IMDb Rating is based. It is a good indication of 1. how popular the movie is and 2. how trustworthy the rating is. The IMDb Votes field is automatically filled in when you Add a Movie from Core. It is also shown in the yellow IMDb box in your movie details panel, right below the logo and rating. The IMDb Votes field is automatically refreshed every day to give you the most up-to-date data. Tip: add the IMDb Votes as a column in your list, so that easily see for all your movies or even sort on it to order your list by the movie’s popularity. New: IMDb Ratings and Votes are automatically refreshed every day! The new IMDb content license gives us daily updates of the IMDb Ratings and Votes. This means that every day you automatically get the latest IMDb Rating and Votes data for all your movie entries. Because the IMDb Rating and Votes now automatically update every day, we’ve removed them from the Cloud and Edit Movie screens as there’s no need to edit them anymore. If you have a movie that you can’t find with the Add Movies from Core screen, you can always report it as missing and we’ll add it for you. Also, the 4K UHD format now has a new icon! 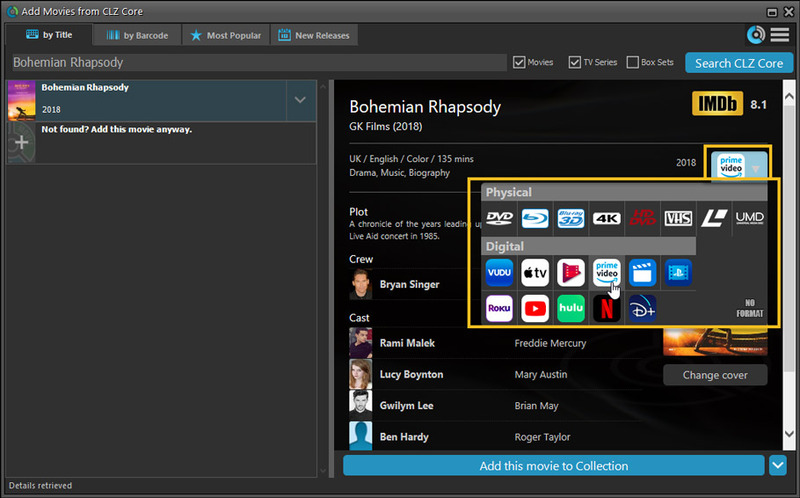 With digital movie formats becoming more popular, we have decided to add the most popular ones as default choices in the Format list, all with nice new list icons and logos for the details panel. All Collection Status values are now available, including “For Sale” and “On Order”! The little popup menu now indicates the selected value with a checkmark. The Add button itself now says “Add to Collection” or “Add to Wishlist”.